A signature wire-lug case brings a vintage look to a cleanly styled three-hand watch set on a tonal mesh strap. 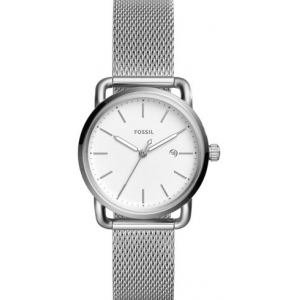 Style Name:Fossil The Commuter Mesh Strap Watch, 34Mm. Style Number: 5503040_2. Available in stores.